See how to compare memory foam mattress brands and get the best deal. Aside from comfort, getting the best memory foam mattress for the money usually tops people’s checklist when shopping for a new bed. But, how do you know what the best mattress for your needs is, and how do you compare the array of options available? Are you stumped? Not to worry, in this guide, we will explain the basic features of these mattresses that can help you compare value across brands and pick the one most likely to make you happy. Flat out, Amerisleep is our favorite mattress brand because they balance price with top-notch features. Rather than aiming to be another bargain bed, Amerisleep focuses on using technology to designed mattresses for optimal sleep. Quality seems to be the biggest influence for reviewers. Foam densities and warranties for this line are comparable to brands three times the price. There are very few complaints of compression, significant changes in firmness or sleeping hot compared to averages of lines, which are a few of the most important factors that seem sway overall satisfaction. Beyond the comfort benefits expressed in Amerisleep mattress reviews, you may even fall asleep faster thanks to the Celliant-infused cover wrapping all of Amerisleep’s beds. This smart textile transforms your body heat into infrared light using mineral-based threads. Clinical studies have shown it can help people fall asleep faster and wake with less aches and pains. Another plus for the brand is that they claim the world’s most eco-friendly foam production process for their beds, and integrate a significant portion of plant-based materials. Since buying a mattress is an extremely personal decision, Amerisleep provides a 100 night, zero-risk, sleep trial. You can just call them up if you don’t like your mattress and they’ll pick it up and give you a full refund. What makes the best memory foam mattress? First, it is important to understand that there is no single best mattress for everyone. We each have different body types and personal preferences that lend a unique perspective to what feels comfortable and what does not. Comfort is fairly subjective, that is, the subject determines what is comfortable or not. Manufacturers try to find the sweet spot using a number of different methods and materials. 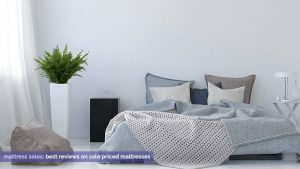 However, there are some things people generally prefer when it comes to sleeping surfaces, which can be seen in large sets of reviews and ratings. Some factors are correlated with significantly more positive ratings than others. Learning how the different variables influence comfort outcomes can help make it easier to find what will work for you. 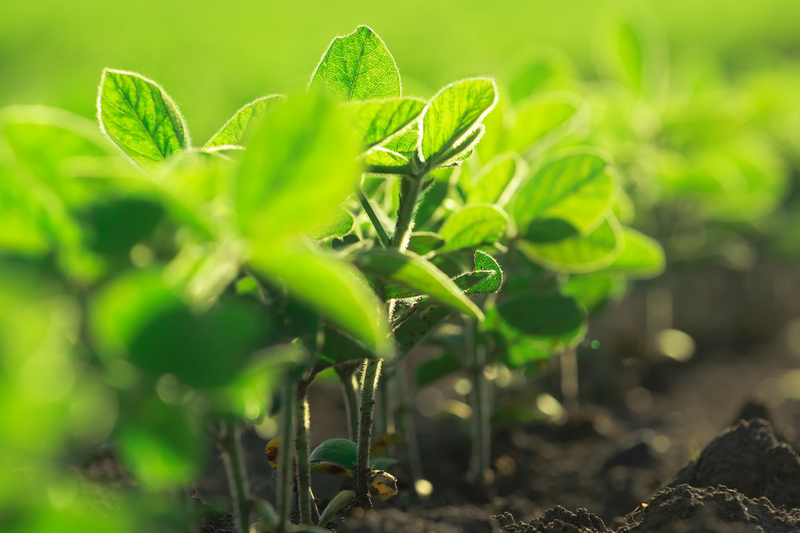 Some memory foam manufacturers use plant oil in their formulas, such as soy or castor bean. There are essentially three varieties you will come across in the present marketplace: traditional, gel, and plant-based. All of these types represent the visco-elastic characteristics to varying degrees and mainly differ in ingredients and manufacturing methods. Traditional memory foam: is made from polyurethane with solely petroleum-based components. This is the original manufacturing method for visco-elastic, temperature-sensitive foams, seen in other brands. While traditional brands provide the notable benefits like pain relief and motion isolation, odorous off-gassing and trapped heat can be an issue for a portion of people. Plant-based memory foam replaces a portion of ingredients with plant-based materials. These sustainable mattresses reduce chemical concerns and have also been shown to improve comfort when it comes to sleeping temperature. Plant-based foams, like those from Amerisleep, can be made with a larger cell structure and with more stable temperature sensitivity which may reduce complaints seen in traditional foams, but there can be concerns of misrepresentation as with latex-based foams being presented as memory foam. Gel memory foam is made using traditional poly foams layered or infused with gel (blended in or beads/particles). This mattress type is popularized by brands like Serta and is the most recent, claiming to sleep cooler than traditional. While gel may create a cool sensation initially in some models, there are concerns of gels affecting durability over time and not living up to coolness claims (according to sources like Consumer Reports). One of the key features used to compare memory foam mattress brands is density, which is measured by the weight in pounds of a 12″ by 12″ square of material. Foams are made more or less dense by changing the ratio of polymers to air. Low density memory foams can be more responsive, cheaper and less likely to trap heat, but break down quicker and may not offer enough support. High density varieties last longer and excel at support, but tend to trap heat, hinder movement, and cost more. For more on memory foam mattress density, see this detailed article from BestMattress-Brand.org. 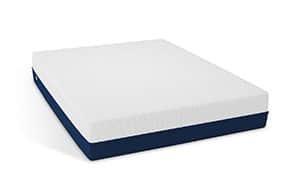 In addition to the density of the memory foam layer, the core or support foam density also plays a role in longevity and support, with 1.8 lbs and less considered low, 2.0-2.5 lbs considered medium, and over 2.5 lbs considered high. The vast majority of brands use cores between 1.5 and 2.5 lbs. Indentation Load Deflection refers to force required to compress a material 25% or one inch on a four inch sample, depending on the test. Lower numbers reflect softer materials while higher numbers reflect firmer. With a this type of mattress, firmness depends on several factors: the ILD of each foam comfort layer and core, and the thickness of all layers. The range for memory foams is typically 10-16 ILD, where core foams register ILDs between 20-45. Mattresses with thicker layers of memory foam will also typically feel plusher than those with less. Not all manufacturers will disclose this information, but if they do it can help you make a more objective decision rather than relying on more arbitrary terms like soft and extra-firm. Room temperature also plays a role with foams that are more sensitive to temperatures, as cooler rooms will make the foam feel firmer while warmer rooms and body heat will make the foam feel softer. Temperature-neutral foams will have less fluctuation and the firmness should feel more stable. Mattress firmness preference is fairly subjective topic, but sleep studies have shown the majority of people will prefer medium to medium-firm beds for overall comfort and pain relief. The best starting point is to consider your current mattress firmness and whether you want something similar or different. Different compositions of different layers can actually make a large impact on individual comfort. When comparing different models, looking at the layers within the mattress proves important, both for understanding the relative value the mattress offers, the potential lifespan and how comfortable it will be for you. Some brands also use filler foams and other materials in the upper layers, which is important to know since these may be less durable and reduce comfort over time. For example, consider two beds that are the same price and size. One has 4″ of 4.0 lb memory foam over a 7″ core. The other has 2″ of 3.0 lb memory foam, 1″ of regular foam and an 8″ core. Even though they are the same overall thickness, the first mattress contains an additional 2 inches in the comfort layer and a higher density. The second bed would represent less value at the same price, since it contains less memory foam and lower density. The responsiveness refers to how quickly it contours or returns to its original shape after being pressed. Traditional memory foams have a slow-response rate since they rely on body heat to conform and soften. Newer generations can be made with less temperature sensitivity, which creates a more responsive material that contours and returns to its original shape more quickly. In terms of comfort, slow response foams provide a sinking or melting sensation and close contouring that some people enjoy but others may describe as being trapped in a hole or sinking in quicksand. Those with mobility concerns may also prefer more responsive foams since changing position and getting out of bed requires less effort compared to slow-response foams. Though memory foam rates among the highest of all mattress types in owner satisfaction, two complaints that come up most often include warmer sleeping and an initial odor. For a majority of people, these are not an issue but about 10% of people report sleeping hot and about 15% report strong odor. The factor most associated with sleeping hot is high foam density. Dense memory foams tend to contour more closely and are also less efficient at circulating air. Mattresses with thicker layers of dense foams tend to receive more complaints of heat than lower density beds and those with thinner layers. 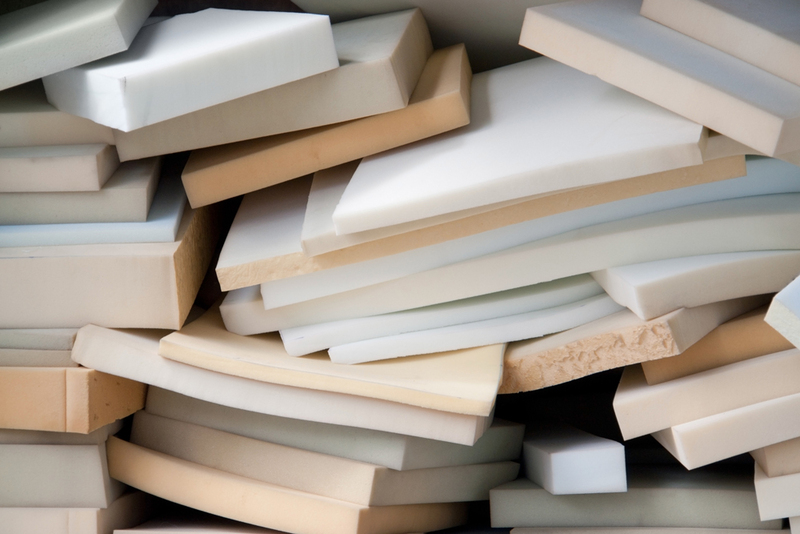 While almost all newly manufactured products have some type of odor, the primary concern some have with with poly foams is volatile organic compounds. VOCs encompass around 60 gasses that various compounds (often petroleum related) release over time as they break down. Though many of the worst offenders have been banned for use, mattress companies are not required to disclose ingredients so it can be hard to tell what is or is not in a mattress. Certi-Pur is an independent organization that tests polyurethane foams and only certifies those that have been found to have low-VOC levels, and do not contain chemicals of concern like PBDEs and formaldehyde. If odors and chemicals are a concern for you, consider checking for this certification when shopping and see what reviewers say. The cover on a memory foam mattress should complement the characteristics of the materials within. Breathable fabrics like cotton and rayon may be more preferable than polyester-blend knits for those who sleep warm. The material should also be able to stretch with the memory foam as it contours to your body and rebound without getting saggy. Covers should contain no more than 1″ of padding, quilting or fiber between your body and the memory foam layer(s), since any more could reduce the contouring and pressure reducing benefits. Different body shapes deform foam at differing degrees in different places, which can affect what feels comfortable to you. Don’t forget to take your personal needs such as sleep position and body type into consideration when shopping as well. Side sleepers need thicker layers of memory foam to prevent pressure on hips and shoulders, whereas back and stomach sleepers require less since less of your body “sinks in”. Petite people may also feel comfortable with thinner-profile mattresses, though larger-framed people will feel more comfortable on thicker mattresses. Therefore, if you are a 150 lb back sleeper, an 8-9″ mattress may be a good option, but a 250 lb side sleeper would do better with a 12-14″ mattress. For couples with significant differences, finding a middle ground or a customizable solution may be necessary. All mattresses should come with a warranty, though length and terms often vary. Most brands will have both a full coverage period (5-15 years) and sometimes a longer pro-rated period (5-15 additional years). Quality mattresses should have full coverage periods that extend through the expected lifespan of the mattress (at least 10 years ideally). You also want to find out how deep impressions must be before warranty coverage kicks in. Surveys have indicated that sagging over one inch can significantly affect comfort, so a warranty that covers impressions of one inch or less would be ideal. In-home trial periods are offered by many retailers and allow customers a window in which they can return after buying. This is especially important if you are trying memory foam for the first time. Ask what fees are associated with returns. Some charge only return shipping, while others have restock fees, pickup fees, and other costs. You should have a minimum of 30 days to return or exchange in order to get a feel for the mattress since it can take time to fully adjust to new beds. While buying online can seem counter-intuitive, online retailers tend to have more generous return policies (and even showroom shopping doesn’t guarantee satisfaction since 40% of buyers report remorse). Watch for sales. Mattress retailers typically run sales during major holidays and during January when new models are debuted. Don’t be afraid to ask for a deal. Retailers want to earn your business and may have additional specials or promotions that are not advertised.Showrooms typically charge more for mattresses than online retailers due to the higher costs associated with overhead and commissions, and usually have quite a bit of markup that can be reduced to make a deal. 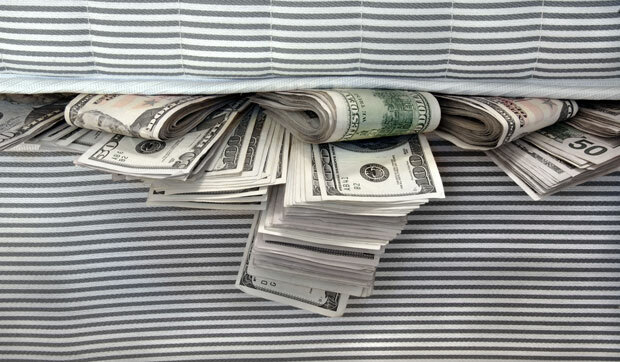 Online sellers also face stiff competition, and even if they don’t have a lot of negotiating space things like pillows or sheets could sweeten a sale. Consider a variety of brands. Advertising costs are typically passed onto the consumer. Name brands that spend millions on advertising campaigns may not always represent the best deal. Comparison shop based on value rather than brand name, and check online too before committing to a bed. Below is an overview of four leading memory foam mattress brands from different niches. We included details on the most important comparative factors to illustrate the above points and provide a starting point for research. Using a similar method of tracking your own product research can make it easier to compare value and pinpoint the best memory foam mattress based on what you are seeking. We also included information from reviews of each mattress brand. 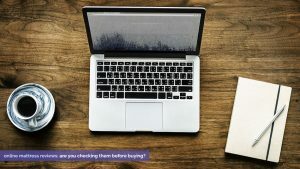 Browsing reviews, especially third party, verified reviews (rather than “testimonials”) can be an important and helpful part of mattress shopping, as you can learn from other owners’ insight. But, bear in mind that those customers who are motivated to write reviews are often either very happy or very upset and since no bed will satisfy everyone, some vacillation is to be expected. The key thing to look for is the overall trend of opinions, whether or not the mattress meets reviewers’ expectations, whether they would recommend the mattress, and if they had problems with the service or product integrity. To provide a baseline for comparison, the average owner satisfaction rating for memory foam brands is about 80%, or the equivalent of 4/5 stars. Notes: Pricing based on retailer’s websites or MSRP. Owner ratings and percentages based on reviews from third party review sites, brand websites, and consumer review websites. *Core densities are not specified, so this is an estimate. 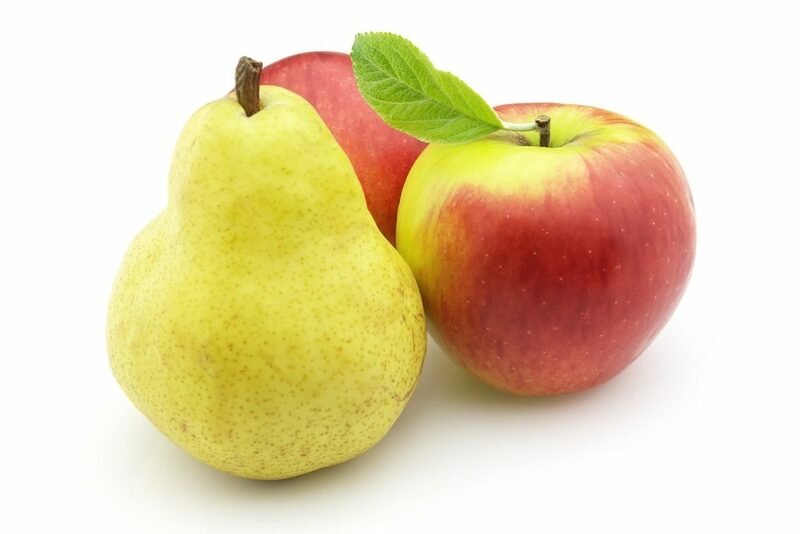 As the brand comparison shows, factors like density, price, and owner satisfaction can vary significantly. Knowing what to look for, how to compare across brands, and what type of bed best suits you can all help you find the best memory foam mattress for your money. I am amazed at the different variables I need to look at for a “good night’s sleep.” Your information is the valuable that I have come across in my research. Thank you. Can anyone tell me if I can put a mattress cover over an IGEL Pegasus mattress from Benson for beds? I’ve third searching all sort of sites, but nothing. Benson Web site is useless.